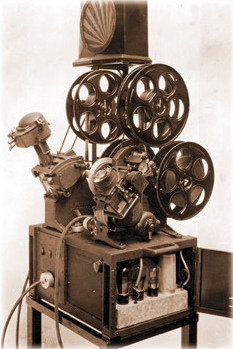 Film Editing is the process of connecting shots to form a sequence then an entire motion picture. It is one of the most important aspects of film-making. Many filmmakers believe that an editor can make or break a film. A good editor can take a mediocre film and turn it into a masterpiece. When film editing is done well, the viewer can become so engaged that he or she is not even aware of the editor's work, that’s why editing is sometimes referred to as the “invisible art”. An editor job isn’t simply to mechanically put pieces of a film together, cut off film slates, or edit dialogue scenes. A film editor works creatively with the layers of images, story, dialogue, music, pacing, as well as the actors' performances to effectively "re-imagine" and even rewrite the film to craft a cohesive whole. Editors usually play a dynamic role in the making of a film. Take for example Nikhil Advani’s Kal Ho Naa Ho, the most obvious choice of all Bollywood films when talking about editing, for it’s not the writing, the direction, the stars or the production values that make this film worth watching, it’s the editing. It’s not difficult to see that Kal Ho Naa Ho truly took form in post-production. A variety of editing patterns are used to narrate the story - this is, in fact, what makes the story so slick and refreshing. The editing gives it a radically different style altogether. At places the editing creates the feel of an MTV video with quick cuts, jerky movements and unusual camera angles. A film goes through several stages of editing before the editor arrives at the end result. The first pass is typically referred to as an “Editor’s Cut” or a “Rough Cut”. This is the first pass of what the final picture will look like when all changes to the film cut have been done and approved. The editor normally begins work on a film when the principal photography begins. The editor and director will likely see and/or discuss the raw footage shot each day, before a single frame is cut. Viewing the raw footage given the editor a rough idea of what the director wants. At this stage the rough cut might be longer than the final film. While the shooting is on, the editor keeps refining the cut. At times the editing process can go on for months, depending on the type of film, sometimes even more than a year. When shooting end, the director gives his full attention to the editor and they further refine the cut of the film. Scenes and shots are re-ordered, shortened, removed and otherwise tweaked. This is when editor's first cut is shaped to fit the director's vision and is referred to as “Director’s Cut”. Sometimes it’s revealed that plot holes, shots or even segments are missing and may need to be captured. After the director oversees a cut, other cuts are administered by the producer(s) and/or Studio. Before a film is released, studios will usually make changes for commercial purposes, or to remove any controversial content. The end result is known as the “Final Cut”. A sequence of shots that seem to be physically continuous as if the camera simply changed angles in the course of a single event is known as Continuity. For example, if in one shot a man is wearing a hat, he shouldn’t be without it in the next shot. The script supervisor and director are together responsible for maintaining continuity and averting mistakes from take to take and shot to shot. The script supervisor keeps the physical continuity of the edit in mind as shots are set up. If shots are taken out of sequence he will be alert to make sure that the hat is in the appropriate state. A Montage Sequence is a technique in which a series of short shots are edited into a sequence to condense space, time, and information. It is usually used to suggest the passage of time. In many cases, a song plays in the background to enhance the mood or reinforce the message being conveyed. A well-known example of montage was seen in director Stanley Kubrik’s 1968 film 2001: A Space Odyssey, which illustrates man's evolution from apes to humans. Film editing is an art that can steer the telling and pace of a story; generate provocative montages; provide a point of view to otherwise slow paced proceedings; form an illusion of danger; accentuate an actor's performance; give importance to things you wouldn’t be aware of otherwise; and even produce an emotional link to the viewer, amongst its many other possibilities.